The availability and speed at which we can get almost anything in the modern world is amazing, but it comes with dramatic overreactions to small failures every day. Technology seems to have reduced the level of failure that can metaphorically bring the world crashing down around our heads. How often have you heard people complaining aggressively because their computer has crashed? And how many Facebook groups lamenting a lost phone and thus the end of the world have you seen? This article will consider five of the most common modern day overreactions and will provide some simple solutions to prevent their doom. 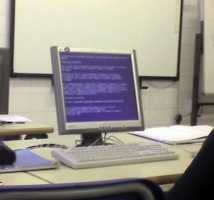 We use computers every day at home and at work, so when they crash and present you with the blue screen of death it can be incredibly frustrating. There are numerous ways to prevent this from happening by making simple preparations and carrying out simple computer maintenance. 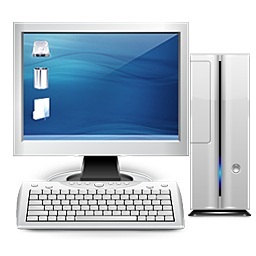 Seek computer support to ensure your computer is always in good working order. You can also carry out simple practices, such as defragmenting your hard-drive and installing anti-virus software, to keep your machine running. Slow internet, even when on the move, is a constant source of frustration for people making use of technology. Even when illegally streaming free films, people get frustrated about being unable to do so smoothly. Think back to a time when internet required dial up and a desktop computer next you lament that your 3G cuts out as you pass under Sydney at high speed on a train. We should all be pleased to have the internet at the tips of our fingers, not angry that it isn’t instantaneous yet. 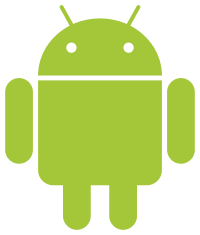 A lost phone is frustrating and can cause legitimate problems but a small amount of forward planning can prevent it causing any real hassle. Get your phone insured so that there is no financial loss and you may even get a new phone as a replacement when you break it or lose it. The smartest thing you can do is to memorise the phone numbers that you need or at least write them down somewhere. If you get mugged and lose your wallet and phone there is nothing worse than not even being able to contact help because you don’t know the phone numbers. People used to have to remember phone numbers and it isn’t that hard. A broken and stationary car can cause undue lateness and large expenses, but again, it is not the end of the world. By carrying out regular services on your car you can ensure that nothing goes wrong in the first place, and if you are stranded by such a failure you can always take public transport like other people or get a taxi if that prospect is too frightful. You may be slightly late but no one will fire you for having a car that broke down and friends will forgive lateness. Delayed flights are possibly one of the most frustrating modern day failures. It is particularly frustrating when strikes prevent your holiday from starting on time but there is a great level of appreciation that seems to be forgotten in the entire process. That we can even cross the world in a plane and enjoy a holiday is amazing and a day or two of delay is a small price to pay for a lifetime of accessibility. One night on the floor of an airport will not kill you and the wonders at the other end should be enough to give you peaceful dreams. A broken car isn’t an over-reaction, when it’s your livelihood. Some of us need it to get to work.